It seems like every so often, God brings to my attention the importance of the words I speak; Not just the things I don't say that I should, but the things I say carelessly that are better left unspoken. Matthew 12:36-37 "But I tell you that men will have to give account on the day of judgment for every careless word they have spoken. 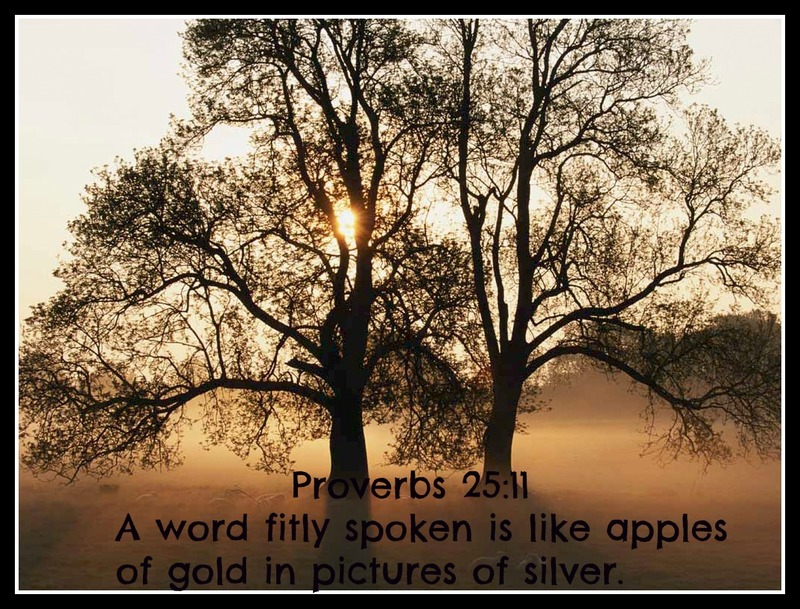 For by your words you will be acquitted, and by your words you will be condemned." 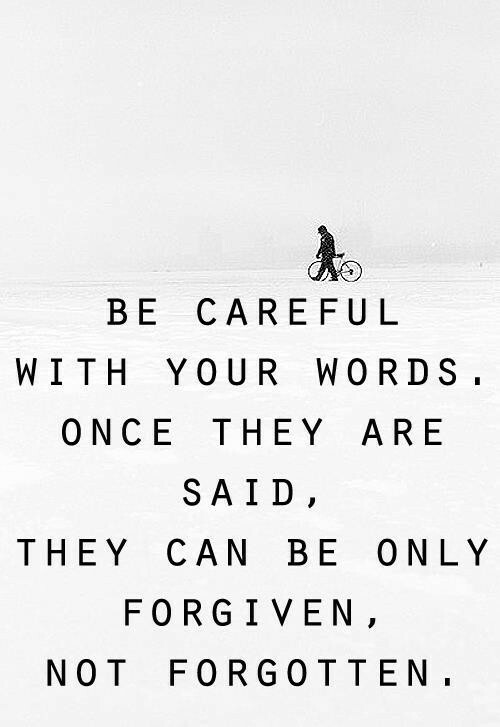 Now notice that these "careless" words being said aren't necessarily bad, or even hurtful. That's what stood out to me. How often do I carelessly speak just for the sake of saying something? I'm going to be giving an account for those words as well! I need to be more intentional about the words that I speak. I want them to be encouraging, uplifting, edifying, and purposeful. My husband is such a great example to me in this. He is definitely a man of few words, but when he does speak, it is with purpose and is usually full of truth and wisdom. I take his words so much more seriously because of that. Matthew 12:34 "For out of the overflow of the heart the mouth speaks"
That is a scary thought! If my heart is full of pride, selfishness, foolishness etc...then I won't be able to help but speak foolish words out of pride and selfishness. Speaking fitly words is about so much more than just watching what we say, it's about cultivating a heart of love, compassion, humility, and grace so that our words will be nothing but lovely, compassionate, humble and full of grace. Lord, change my heart so that my words will follow. definitely needed this today. I am so forgetful and say careless things all the time thinking no one remembers but they totally do! My husband was upset for a few hours a couple nights ago over something I said flippantly...all that being said, thank you. This was exactly what I needed to read today! I've been feeling like words have been thrown around carelessly lately and I need to change that. Thank you! Amen Faith! This is something I think too many of us forget. I admire your heart! Faith this has been on my heart so much lately. I am studying the book of James which talks about the tongue A LOT! It is so hard to control it yet the Bible makes it clear that we must. Thanks for this great reminder! This post struck a cord in my heart. I was just thinking about this myself lately. Thank you for this reminder! Really spoke to my heart today! Amen! Great post... and so encouraging. I said something to my sister today trying to help her and I thought it was wise and helpful, but it came out wrong and I upset her. Oh Lord, forgive me! I totally need to be more careful about saying things with care or not speaking at all. Careless words get me in trouble, and don't reflect a heart changed by God. What a great reminder!!! So thankful for your words of truth friend!